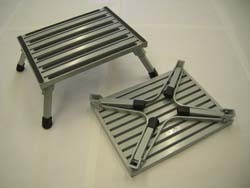 Rv steps and ladders for your camper to match your style and your comfortability. 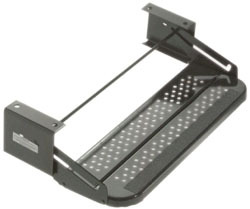 We carry numerous styles from regular add on Rv ladders, to our electric style Rv steps to our regular steps. 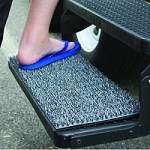 RV step rugs and RV step stabilizers are also available. 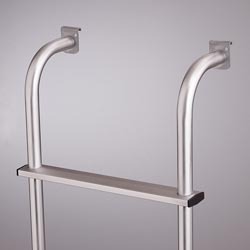 Make sure you have a look at our RV steps and ladders. 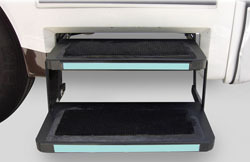 With a wide selection of Rv Awning Patio rugs by Carefree we offer a wide variety of colors and sizes to accommodate your RV needs with style. 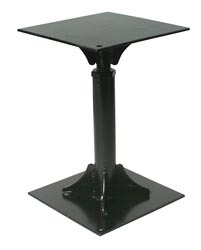 We also offer a LARGE selection of RV Patio Tugs that accent your camp site and also offering you protection from dirt and water that causes interior damage and deterioration of carpet and flooring. 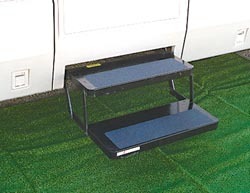 On your next camping trip keep the interior clean and dry with our selection of RV step rugs by Outrigger, while also avoiding slippery steps.